The couple credits the longtime and now retired director of the Minority Engineering Program (MEP) with personally introducing them to opportunities for African-American students in the College of Engineering, encouraging them on their personal academic journeys and ultimately inspiring their ongoing financial support of the program. The pair met at a scholarship dinner their freshman year, discovered they had grown up in the same Chicago neighborhood and soon began dating. After graduation, they married and embarked on successful careers. Don went to work for a military aircraft manufacturer, now part of Northrop Grumman, then joined McDonald’s Corp. in 1990. There, he rose through a series of leadership positions, retiring as president and CEO in 2014. He currently serves on the Purdue Board of Trustees. Liz began her career at Ameritech before switching her focus to youth development and education, with many nonprofit roles. She was executive director for one of the nation’s only Early Head Start Montessori programs and founding executive director of City Year Chicago. City Year was the model for the national AmeriCorps program. 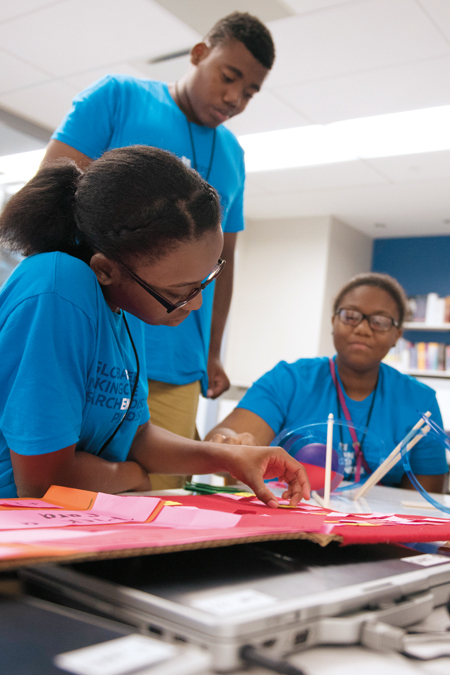 The Minority Engineering Program hosts high school students at a summer computer coding workshop. Today, the Thompsons run the Cleveland Avenue Foundation for Education, which funds organizations dedicated to student success — including MEP. The couple’s support is not merely sentimental, though. They are impressed by the program’s results. According to Virginia Booth Womack, the current director of MEP, first-year retention rates among minority engineering students at Purdue have risen from 63 percent in 2004 to 93 percent in 2015. She also reports a 40 percent improvement in first-semester academic performance among MEP students, as well as three consecutive record-breaking years of minority enrollment in the College of Engineering. The Thompsons’ generous gifts to MEP help support the program’s numerous workshops and boot camps. 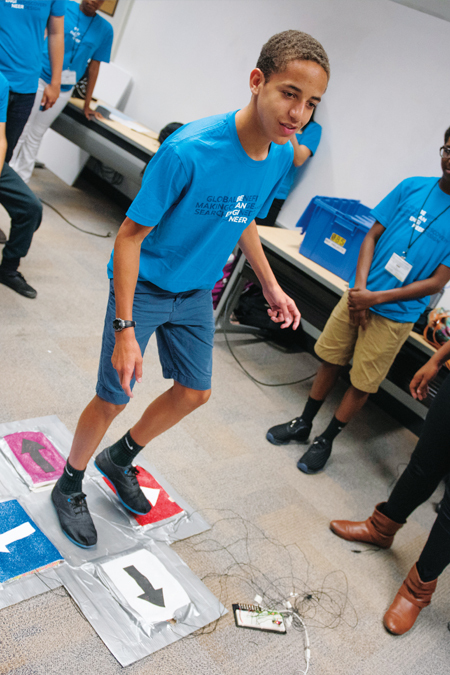 One key initiative focused on retention is the Engineering Academic Boot Camp, a five-week simulation of the first-semester engineering curriculum for incoming freshmen — an experience Don believes is critical in helping minority students transition successfully into the majority campus culture. A high school student tests a foot-based “controller”. When it comes to outreach and exposure, the Thompsons are big fans of MEP’s summer engineering workshops. The couple’s daughter and son — an engineering student at Stanford and a marketing graduate from Purdue, respectively — both participated in these weeklong sessions held on Purdue’s campus for sixth-, seventh- and eighth-grade students. Creating these types of opportunities for underrepresented minorities is the focus of the Thompsons’ giving, both at Purdue and beyond. For the Thompsons, it all comes back to results. “We can point to so many real-life examples of how MEP has been a catalyst for success in so many lives, particularly African-American lives,” Liz says. 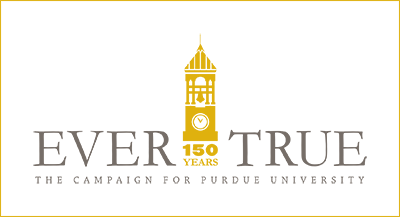 To support Purdue’s Minority Engineering Program, contact Hilary Butler, director of development, at 765-494-6383 or habutler@prf.org.